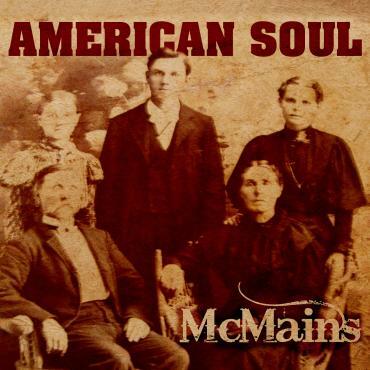 Just when you thought the days of the country troubadour had vanished, along comes McMains to let us know that classic country with an Americana flavor is still alive and well. McMains hits the ground running on “Would if I Could,” and never stops, delivering an album of 13 songs that belong in the library of every true country fan. Among those 13 songs are a covers of classic songs, including the traditional “Shenandoah” and John Denver’s “Take me Home, Country Roads.” Other songs we love include “Don’t say Goodnight Tonight,” “Hello Heartbreak,” “Never 2 Late 4 Love,” “Slow Down my Heart,” “Time Well Wasted,” and “Under the Sun.” We think that "Don't say Goodnight Tonight" and "Time Well Wasted" in particular would be huge hits on the radio, and strongly encourage country radio to check them out for possible heavy rotation. This is the kind of country album long-time fans have dreamed about. We're here to tell you that your dreams have come true. Recommendation: If you love country music, then you owe it to yourself to get this one.